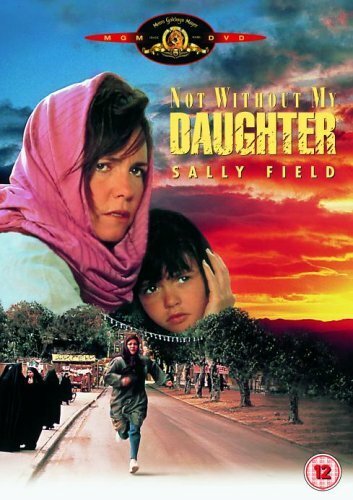 Sally Field portrayed Betty Mahmoody in the 1991 film "Not Without My Daughter," based on the best-selling book of the same name. I first interviewed Betty Mahmoody in April 1992, just prior to my graduation from Valparaiso University as a journalist. Mahmoody spoke at VU April 2, 1992, at the Student Union while on the lecture circuit promoting her best-selling 1987 book "Not Without My Daughter." Sally Field starred as Betty in the 1991 big screen film by MGM. And now nearly 20 years later, Mahmoody is coming back to the region. From 2 to 4 p.m. March 6, she will be the guest speaker for a charity event sponsored by the American Hellenic Educational Progressive Association benefiting The Friends of the Lake County Library and The Caring Place. It's being held at the Hellenic Cultural Center, 8000 Madison St. in Merrillville. Tickets are $35 for adults and $20 for students with a valid ID. The ticket price includes a reception with a selection of delicious ethnic desserts provided by The Patio Restaurant. Reservations required by Feb. 25 by calling (219) 769-3541, ext. 315 or (219) 464-0840, ext. x102. After Betty's husband convinced her that their daughter deserved a visit "on holiday" for two weeks in his birth county of Iran, Betty agreed with reluctance. Upon arrival, her husband told her they would not be returning to the U.S. and she quickly discovered that as a woman in the Middle East during that time, she had no rights. After 18-months of being held hostage and beaten, a 500-mile escape via Turkey led Betty and her daughter back to U.S. safety. Married to her Iranian husband for 12 years, Betty said, "He changed sometime around the the time of the Iranian Revolution." He died at age 70 in Tehran, Iran, on Aug. 23, 2009. "When I first noticed his attitude change, it was while we were living in Texas and he hung up a picture of the Ayatollah Khomeini and went through our house pouring out all of the alcohol," she said. "He started inviting as many as 60 to 80 Iranian students to the house to make revolution signs and burn flags. He was a different man than who I married." After they moved to Michigan, he said her husband's personality stabilized, however, she noticed that he told their neighbors he was "Persian" rather than Iranian. She said once she arrived to Iran with her daughter, she was told that while in the U.S., by law, she had dual citizenship. But once in Iran, according to the country's laws, she was only an Iranian citizen and the property of her husband. Once she returned to the U.S., she appeared on "Live with Larry King," "The Oprah Winfrey Show" and interviewed by Barbara Walters on "20/20." Her daughter Mahtob is now 32. Prior to the movie of her life starring Field (selected by Betty), she had to field controversy created by movie critic Roger Ebert, who had screened the film and labeled it "racist," despite later awarding it a "thumbs up must-see." Mahmoody was angered that the wire services had picked up Ebert's comments, which she felt stereotyped the film, which she also said was "toned down considerably compared to the book." The opinions expressed are solely those of the writer. He can be reached at philip.potempa@nwi.com or 219.852.4327. Actress Carlin Glynn and singers Smokey Robinson and Bobby Rogers of Smokey Robinson and the Miracles are 71. Singer Lou Christie is 68. Actor Michael Nader ("All My Children") is 66. Guitarist Tony Iommi of Black Sabbath is 63. Actor Jeff Daniels is 56. Singer-guitarist Dave Wakeling (General Public, English Beat) and actress Kathleen Beller (Kirby on "Dynasty") are 55. Talk-show host Lorianne Crook is 54. Actor Leslie David Baker ("The Office") is 53. Singer Seal and actress Jessica Tuck ("True Blood") are 48. Drummer Jon Fishman of Phish is 46. Actress Justine Bateman is 45. Actor Benicio Del Toro is 44. Drummer Daniel Adair of 3 Doors Down is 36. Singer-actress Haylie Duff is 26.